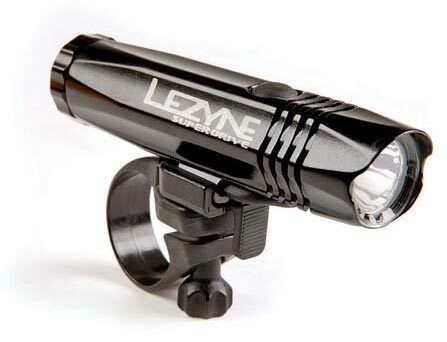 Cycling Weekly obtained a wide selection of the lights that are on the market for between £100 and £200, a price range that gave us a good selection to play with, but wouldn’t break the bank. 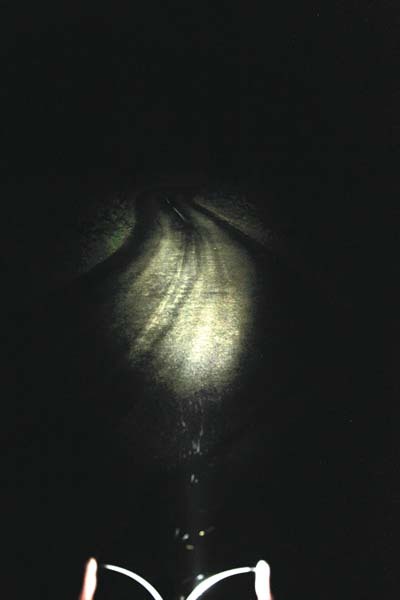 We then tested them in the usual rigorous manner; endless miles in the wet and dry, dusk and full dark, town and country. Having put them (and our legs) through their paces we then headed out on a dark and wet night to get pictures of the beam patterns. All of these shots were taken using exactly the same camera set-up, so you also see what we did – or didn’t. Our conclusion is at the bottom of the page. The last time we wrote about Moon, we gave the Shield 60 the thumbs-up as our favourite rear light. We hoped the X Power 500 would also deliver, and it did. We bar-mounted this solid-feeling light using the secure thread and lock system. The beam this light throws down is significant for such a small unit. It’s a good balance of flood and spot to enable you to see forward direction and detail at speeds over 20mph with no vibration distortion. 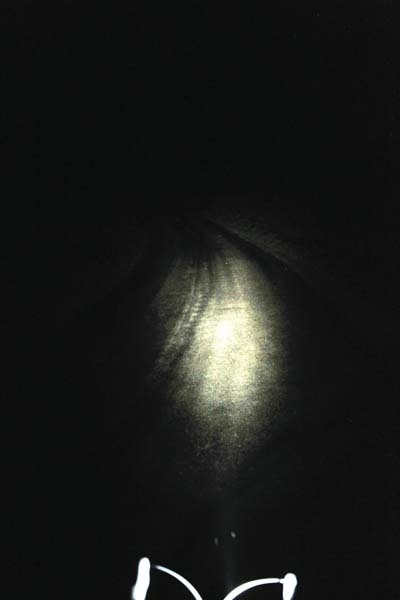 All four constant light options produce usable light, but it’s the top two that give visibility confidence on unlit roads. Most impressively, the burn time on the ‘high’ setting is 2hr 20min, and even ‘overdrive’ gives you a worthy 1hr 40min. With a USB or mains plug charging options, it’s very good value for money. a big tick from us for the attachment, thanks to a simple rubber o-ring fitting. 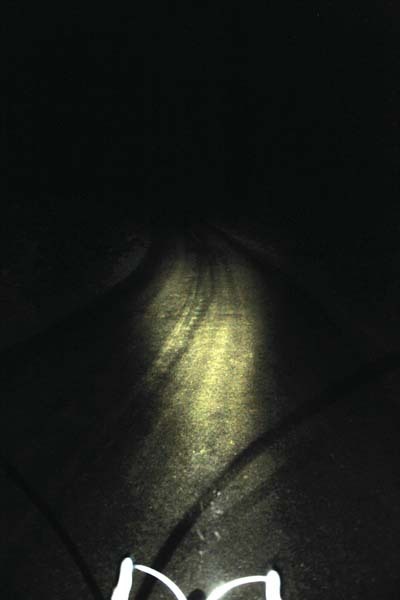 Airstream has a unique beam pattern: a wide spread for overall visibility and a concentrated spot which fades out at the bottom, directing light towards the road. Despite its elevated bracket arm, there are vibrations in the beam which some people might find distracting. The battery indicator and the illuminated logo, visible from the side, do make it look like a well-designed light. The only other gripe is that there is no ‘hood,’ so when out of the saddle, you can get an eyeful from your own light. 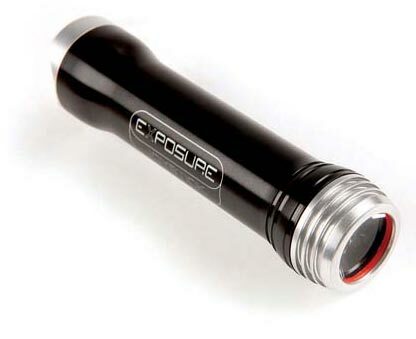 The tactile Nano Shot is a perfect size to store in your pocket when you’ve got to your ride’s end, mounted using Cateye’s classic bracket – screw thread and tool-free – which holds the light’s position well. The downside of this palm-sized puppy and swift easy fitting is that it does sit pretty low on your bars, producing some cable shadow and reflection. The flood beam projects a broad spread, which is good for vehicles approaching you side on, but also creates some hood shadowing. 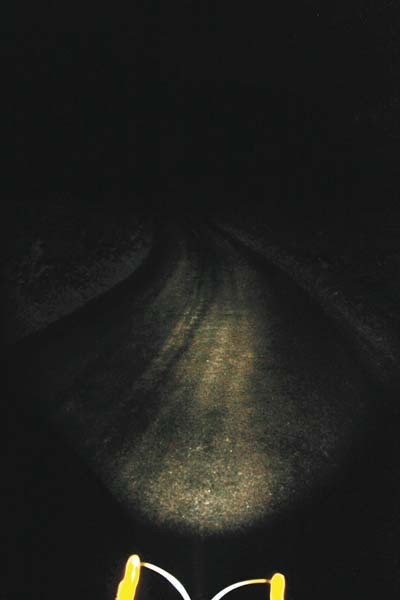 Like most of the lights on test, you’re going to need it on high beam as soon as you leave civilisation. 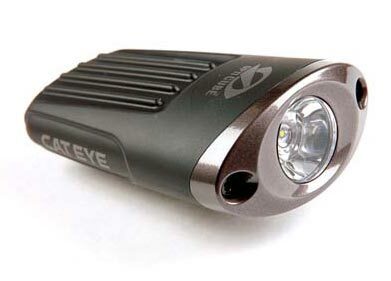 To be honest, we would probably just stick to street-lit areas as the beam is the least bright on test, but it’s a good little purchase for its price. The integrated unit fitted the bars with a user-friendly tool-free mount, which is also at a good height to prevent cable shadowing (if they’re exposed). The low and medium settings create enough light for you to wend your merry way in an urban environment with the support from street lighting for up to four hours, but as soon as you hit darker lanes, you will need the semi-spot beam on high (with 1hr30min burn time) to be totally confident that you’re not going to throw yourself down an open manhole. 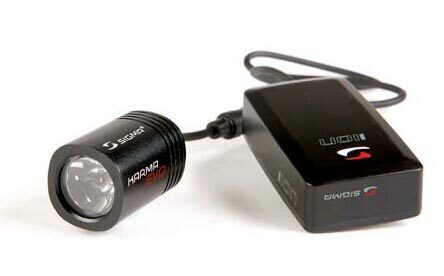 The light is USB-charge only, so it’s a great commuter light as you could charge it in the office, but you’re going to have to spend a bit more money if you’re planning to get the miles in after dark. 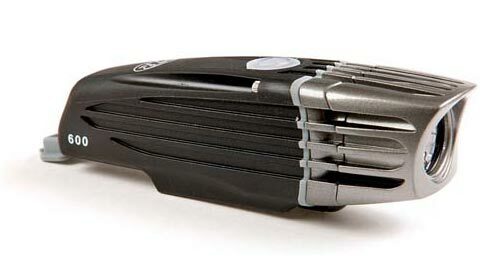 The Joystick has been around for a while now; we used the 2012 JoyStick Mk 6 for this test. With only a helmet mount, the bracket is a screw and cup arrangement, which has obvious advantages and drawbacks. On the lowest setting you could pretty much ride on the road anywhere. We stuck with the highest setting for crisp, clear vision, and the 3hr burn time from the spot beam was more than enough time for our training ride. 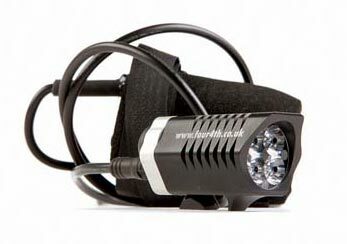 Being a helmet light, we loved being able to see a line through corners and we think this is a good price for the impressive light it throws down, but it did leave us feeling slightly vulnerable to traffic when looking away from it. For us, an included bar mount is a must to score top marks. Both helmet and bar mountable, we opted for helmet position which Four4th recommends. The Neoprene-encased battery is small and comfortable enough for a jersey pocket. The light needs to be rotated 180° in order to be removed, which gave us a good sense of security that it wasn’t going to detach and end up in our wheel. 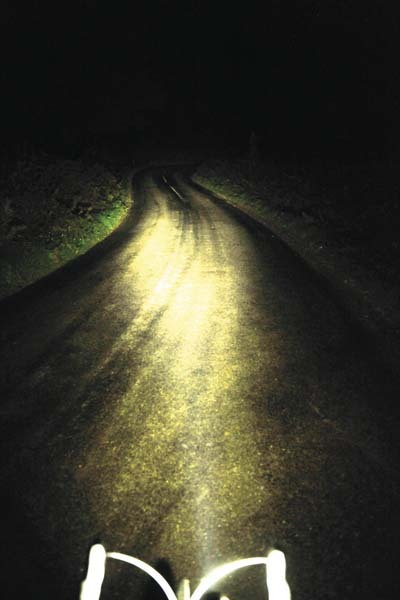 The powerful floodlight is not cheap, and will need to be a measured purchase, but it’s an awful lot of illumination; even its low setting is good enough for unlit lanes. However, it’s the powerful ‘high’ setting where this comes into its own; we actually had cars dipping their headlights for us. Rest assured you can ride as fast as you like with ample visibility, even downhill. Again, being a helmet mount we did have safety concerns when looking away from traffic, but it’s seriously bright. Not the catchiest of names, so we’ve taken to abbreviating it to the 3Si Elite. We called it a few other names too when trying to fit the ‘extension’ link to the bracket. We think it should come oversized as standard. 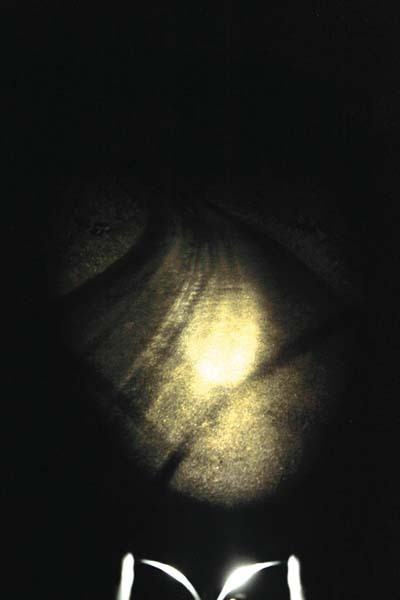 Once mounted, we found a well-made light with nice details like the glow ring for drawing attention from side-on traffic and the hood to stop you burning your own eyes out. We question the longevity of the on/off/selection switch and struggle to understand why anyone would use the lower three settings when the 3Si Elite flood beam puts out a considerable amount of light on high and boost, for between three hours and four hours 30 minutes. A fair price for a huge amount of light – once you’ve selected it. We went with the bar mount for our test which, albeit easy to fit, still uses the same questionably secure ratchet-style system about which we previously raised concerns. Our 31.8mm bars only just allowed the ratchet to make the first click. 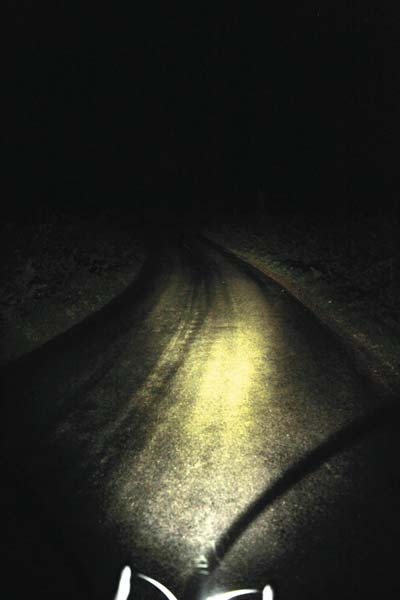 The three lower settings are OK for riding about town, where the beam is more about you being seen than being able to see, but you’ll need the high option for even semi-lit riding in order to see far enough ahead. 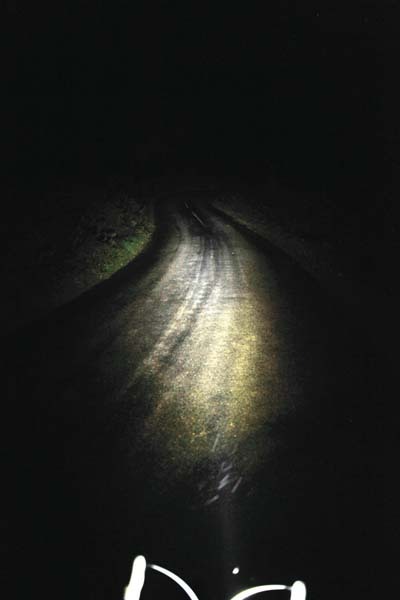 On full whack you’ll have a decent spread of light for 1hr 30min to see road defects comfortably when riding above 15mph. It’s a reasonable price, but you could get a brighter light for your sterling. 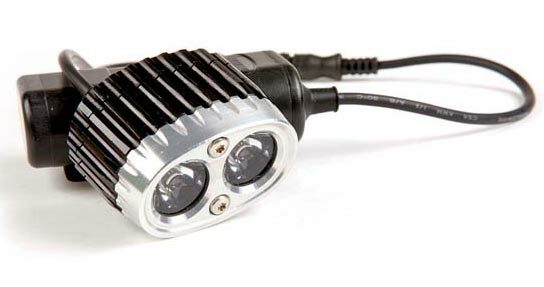 We can’t help being reminded of Disney’s Pixar animation WALL-E by these lights. We mounted the two-LED head unit with the simple bar mount for this test. It does have a tendency to twist when operating the button, so we docked a point. Low and medium beams were both good enough to see when in town, but you would be missing out if you didn’t stick it on high or max and take to the lanes for a couple of hours. You’ll have no problem seeing detail at speed thanks to the powerful spot beam. 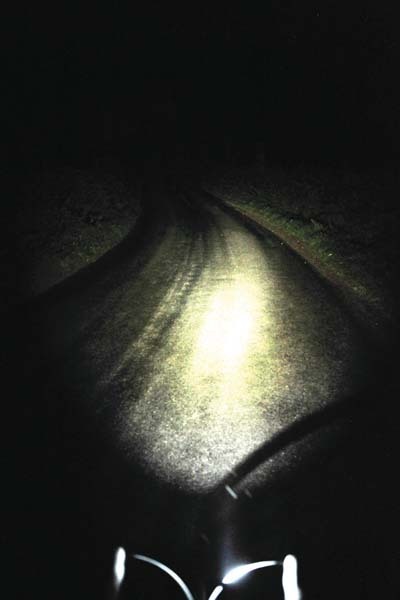 The setting cycle makes sense – low to max – but you also have the flash setting to work through, and riding with a strobe that bright should probably come with a health warning. Great for the price. The Karma comes with enough cable (thanks to the extension lead) to, in theory, mount the battery anywhere. However, the bracket will only really accommodate smaller radius tubes. Another potential issue is the bar ratchet closure. We only just managed to get one click on our 31.8mm bars which didn’t make us feel 100 per cent assured that it was going to stay put. 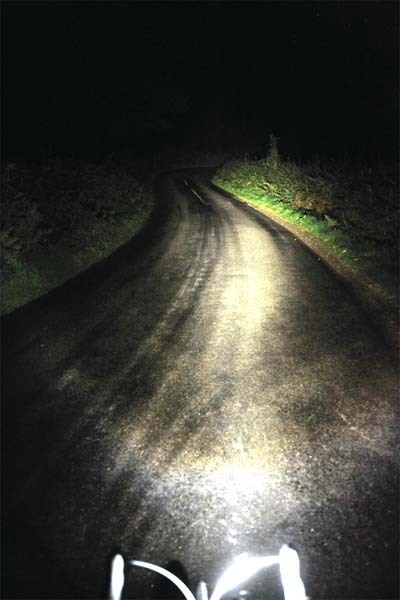 The timings need to be verified but you should get 6hr on the medium setting, which is sufficient when riding under street lights, and 4hrs on high, which delivers a spot beam capable of picking out pot holes and wet drain covers on darker roads. 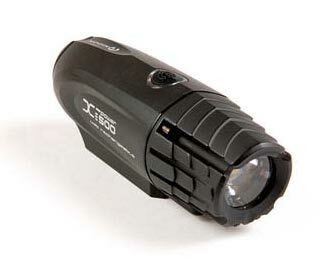 It’s reasonably priced for the amount of light you get. 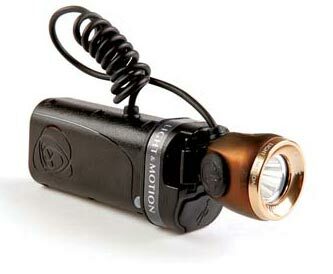 The most versatile light on test; you name it, the Solite probably has a bracket for it – bar mount, helmet, head, hand torch, tent etc. 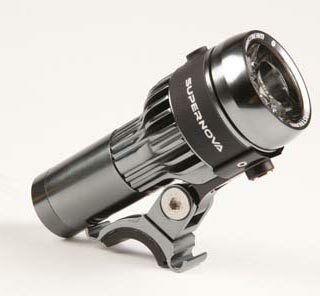 We tested it as a bar light, and found fitting it to the bike was amazingly simple due a rubber holster to mount on your stem. Output is respectably good on all settings for a small lamp, and the side amber lights are a nice touch when in traffic. But as soon as our test moved out of the town and into country lanes it was really only the maximum setting which was good enough to see confidently when travelling above 15mph, though you should get a couple of hours on that setting. 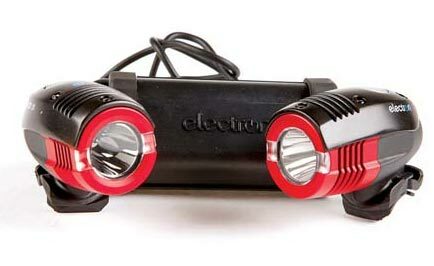 Price-wise, it’s at the upper end, especially if you’re just after a bike light and won’t use the extras. This set-up is another WALL-E alike. These cute lights are bar-mounted via nice and simple o-rings, which do a really good job of holding the position of the light beam. The interconnected and hard-wired head units do make fitting a bit of a challenge, but the plus point of having two lights is that you’ve got a variety of setting options to play with. 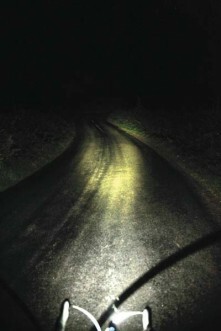 While in town we liked having one flashing and one set on high beam, but out in the sticks you will need the full beam on both to see properly, and when descending your speed will need to be moderated – but with four hours of burn time available on the high setting this should be sufficient for many riders. Lumens do seem to have become the new inches. 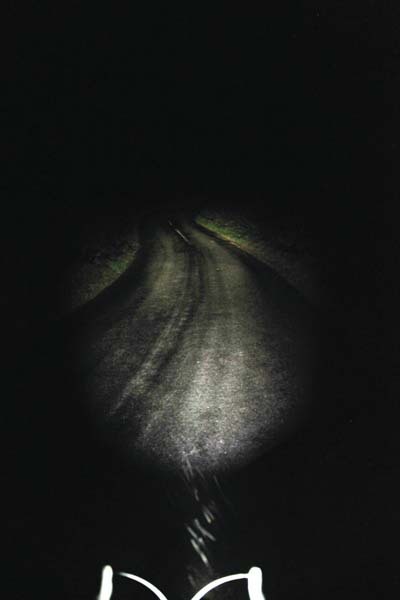 With so many claimed and actuals, we decided not to take account of the numbers for this test, just how well we could see in the dark so it didn’t slow us down or make us run out of power mid-ride. The Moon X Power 500, for a reasonable £119.99, really impressed, ticking all boxes of a light wishlist – powerful mix of flood and spot and an integrated battery with a good burn time and versatile charging options. 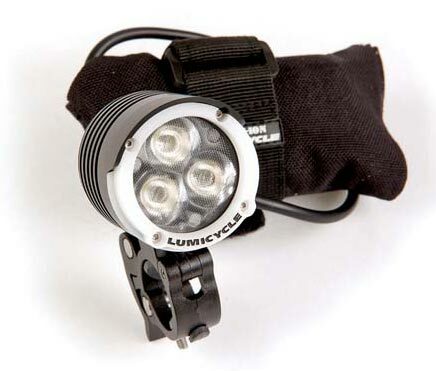 If you need to get a few more night ride hours in, especially in unlit areas, you are going to have to stump up the cash for one of the more expensive options like the Four4th Exodus or Lumicycle’s LED 3Si Elite26, to get not only exceptional visibility but burn times to match.